Gone Groom: Has Ekta Kapoor Replaced Sidharth Malhotra In 'Jabariya Jodi'? 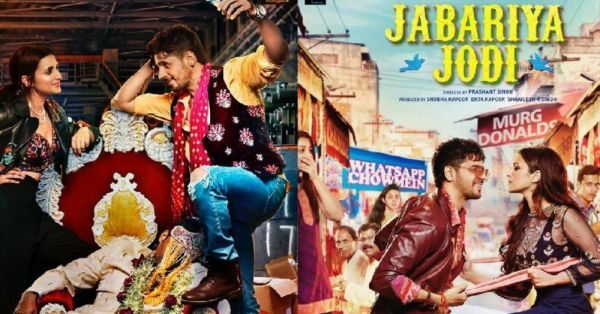 Jabariya Jodi, directed by debutant Prashant Singh starring Sidharth Malhotra and Parineeti Chopra, is all set to release in 2019. The film has created quite a stir with its storyline that revolves around Jabariya Shaadi, a phenomenon common in Bihar. Jabariya Shaadi is also known as groom kidnapping, when a bride's family kidnaps an eligible bachelor and forcefully gets him married to their daughter, in order to avoid paying dowry. The movie stars Parineeti Chopra and Sidharth Malhotra, but the rumour doing the rounds is that the Student Of The Year actor has quit the movie. It started when a newspaper tweeted that Sidharth Malhotra was no longer a part of the film. This lead to a hilarious conversation between the co-producer Ekta Kapoor, the leading lady, Parineeti Chopra and the man himself, Sidharth Malhotra on Twitter. When Parineeti saw the tweet, she didn't waste any time to respond with sass, denying Sidharth's exit from the film. Ekta Kapoor responded stating that since it is a Balaji film, Parineeti should have seen this coming. The producer famous for changing the leading faces in her TV shows, including the popular recasting of Mihir in Kyunki Saas Bhi Kabhi Bahu Thi. But this is not where the confusion ended because neither of the actors helped in clarifying the change of the leading actor. While the crew of the film is having a laugh over the tweet, we are left confused about Sidharth's role in Jabariya Jodi. Although it looks like the actor is still on good terms with the producer and Parineeti, leading us to believe that he might still be the groom in the film.